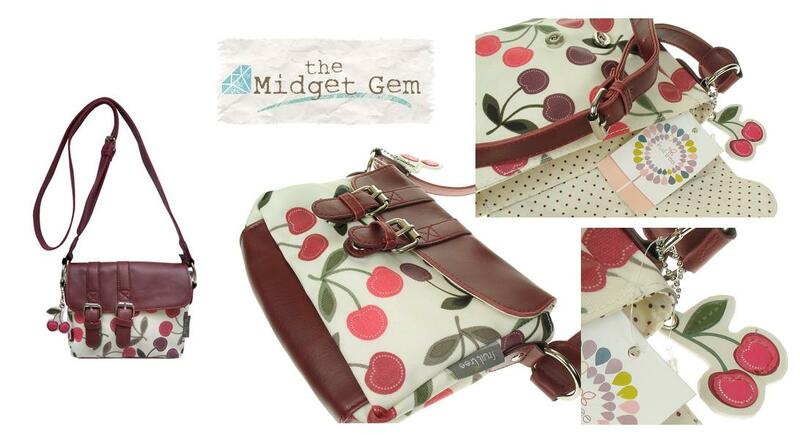 'Fruit Tree' cherry themed small hand bag from Disaster Designs. In faux leather and waterproof coated canvas, very serviceable. Cotton fabric interior in cream with burgundy polka dots. Inner zipped compartment. Magnetic clasp fasteners. 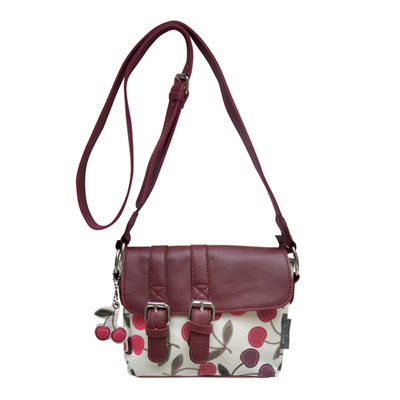 Shoulder strap is adjustable to a maximum length 52 inches/132cm, so can be worn across the body. Dimensions 7 inches/17cm x 6 inches/15cm x 2.5 inches/6cm. 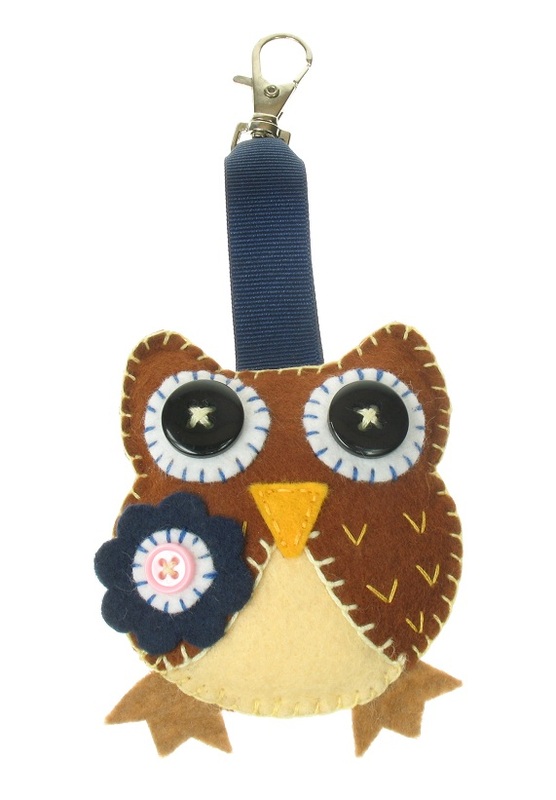 Beautifully hand crafted owl hand bag charm. Made in England. Made from felt with buttons and contrast stitching. The owl measures 8 cm/80 mm. In shades of brown, cream and navy.